CHINA. 2013. Altai Mountains, Xinjiang. 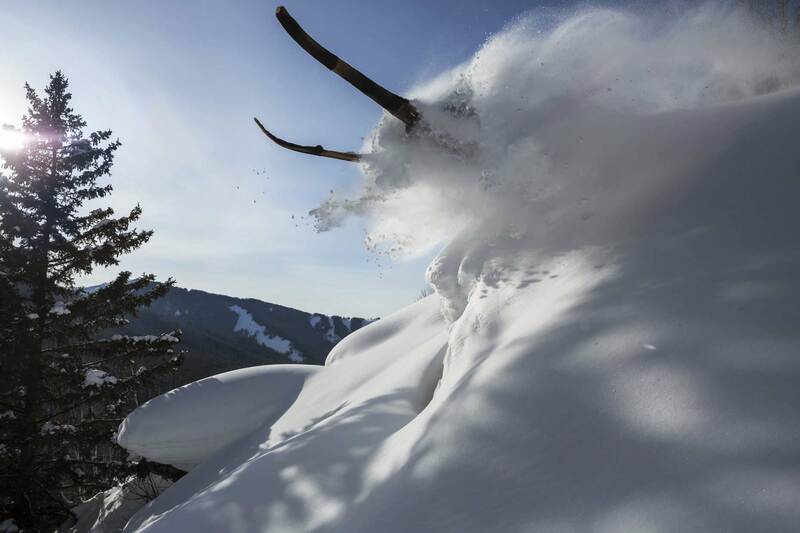 Traditional skier blasting throw deep powder snow. Skiers in the area use a single wooden staff, as opposed to the modern two-pole technique, and the base of their handcrafted skis have horse-hides permanently attached for traction.